With a year on the job, Eurocopter’s CEO is taking the company into a sea change aimed at improving customer service and the bottom line. An even dozen years after Eurocopter was formed, it is clear that things have now changed for the company. 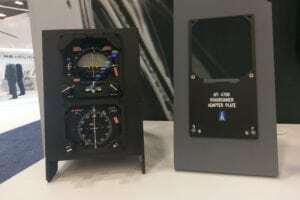 Gone is the emphasis on long-term industrial policy and architecture, gone is the stubborn determination to push the company’s key programs–Tiger and NH90–into production, and gone is the emphasis placed on renewing the entire product line. Today, Eurocopter has clearly moved into the consolidation phase, where rationalizing the business process, improving customer service and improving profit margins are the top–or rather, the only–priorities. This weather change has been brought about by a new chief executive, Fabrice Brï¿½gier, who almost a year ago succeeded Jean-Franï¿½ois Bigay, Eurocopter’s founding CEO. Bigay retired in April 2003. 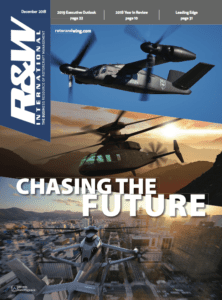 Brï¿½gier has absolutely no qualms in acknowledging that Bigay’s legacy of a working bi-national company, bursting order book, modern product line and unequalled engineering know-how are major competitive advantages for Eurocopter. But he also makes clear, without quite spelling it out, that the ship can tightened up and that long-term industrial goals are not going to distract him from his basic job: making money for his shareholder, Europe’s huge EADS group. Clearly, where Bigay was a visionary who pioneered cross-border mergers in European aerospace, Brï¿½gier is a businessman who will not tolerate distractions. The good thing for Eurocopter and EADS is that, just as Bigay was the right man to make Eurocopter work, Brï¿½gier seems to be the right man to focus the company on boosting profits. How do you turn a high-tech leader run by engineers and visionaries, traditionally devoted to making the best available products but living in something of an engineering ivory tower, into a customer-focused company able to generate large dollops of cash? That, in a nutshell, is the challenge now facing Brï¿½gier; and by all reports he has wasted no time in confronting it. One of his first initiatives was to radically overhaul after-sales support, an area where Eurocopter clearly had room for improvement. Initial results are already visible, he said. In January 2003, the company shipped 70 percent of requested spare parts within five business days; by October, this proportion had risen to 83 percent shipped in less than 24 hours, and 94 percent in less than 48 hours. Over the same period, the percentage of parts available in the inventory of Eurocopter’s main customer support center at Marignane in southern France, increased from 82 percent to 88 percent. The goal now is to increase that proportion to 90 percent. Re-engineering spare parts support required hiring a logistics consultant for a few months, intensive re-training of existing personnel and only one new hire, according to the company. In financial terms, the cost was negligible: less than 15 million euros ($18 million), said Brï¿½gier, mostly to implement a new, worldwide logistic system with three platforms in Europe, Asia and the United States. To ensure this, Eurocopter now has a new Customer Relations division, a clear roadmap to improve service, and a network of “coherence managers” to monitor progress. 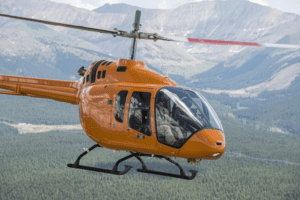 One customer support function that Brï¿½gier wants to develop is pilot training, and the company’s new Helisim subsidiary is slated for investment and growth. “The ultimate challenge is to make our customers want to stay with us,” Brï¿½gier said. His second management objective is to revive Eurocopter’s industrial partnerships in the developing world, which had been allowed to lapse as Eurocopter focused on bringing its European collaborative ventures–Tiger and NH90–into production, and to snare initial export sales. 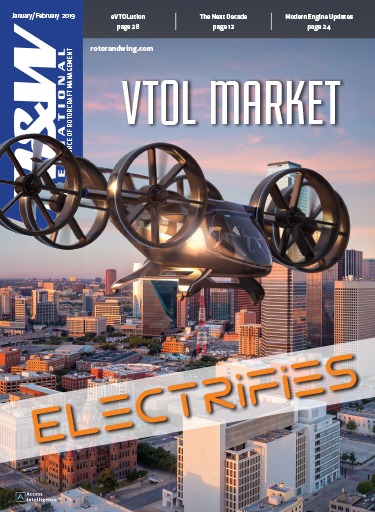 A first sign of this new policy was the agreement announced in late November to set up an EC120 production line in China, in partnership with CATIC/ HAMC which has a 24-percent stake in the program. India is another prospective partner, with Korea a prospect thanks to its Korean Medium Helicopter program, for which Eurocopter wants to compete jointly with a local partner. “My second goal is to regain our historical position as the preferred industrial partner in emerging helicopter markets,” Brï¿½gier said. A third goal is to expand the international market share of the Tiger and NH90 helicopters, which are now in production and approaching maturity. “The HAD version of Tiger being developed for Spain is particularly well-suited to modern combat requirements,” said Brï¿½gier. “Several countries in Northern Europe, the Middle East and Asia are currently looking to buy this kind of helicopter, and the Tiger HAD will be the new benchmark for combat helicopters.” He said he foresees up to 10 countries buying attack helicopters by the end of the decade, and believes that Eurocopter could win new orders for 150—200 additional Tigers by then. As for airframe technology, Eurocopter sees the future as a constant refinement of existing technologies without any great technological leap. For example, the company is now working to develop a true all-weather helicopter around its EC155 design. This is something Brï¿½gier said “will be within our grasp very quickly. In five or 10 years, we will have attained a fundamental advance as helicopters will be able to provide a continuity of service” irrespective of weather conditions, day and night. But keeping customers and improving technology are one thing; making money is another, and the US dollar’s continuing weakness doesn’t make it any simpler. “The low dollar is an additional challenge to our competitiveness,” said Brï¿½gier. The company pays its bills in relatively strong euros, but is paid by many export customers in relatively weak dollars. During the past three years, the dollar has lost one-third of its value relative to the euro. To escape the effects of exchange rate fluctuations, Brï¿½gier said the company must be able to shift at least part of its production to the dollar zone. This is being made easier by the fact that foreign customers increasingly insist on local assembly or production to offset their purchases. In Finland, Patria is readying to assemble NH90s ordered by the Nordic countries, while Eurocopter bought a local subsidiary in Australia to assemble Tiger attack helicopters ordered for the Australian Army. 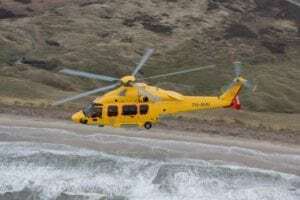 In both cases, Eurocopter dispatches specialist personnel to help set up local production, which added to its costs, but this is the inevitable cost of doing business in the government sales market. Brï¿½gier won’t say what financial objectives he was assigned at Eurocopter, which his predecessor said included a 10-15 percent return on utilized capital. But “there is a steady, and perceptible, progression in our profits.” In 2003, the company’s sales totaled 2.61 billion euros (about $3.26 billion), and he said he expects them to increase to more than 3 billion euros in two years as production of Tiger and NH90 hits cruising speed. 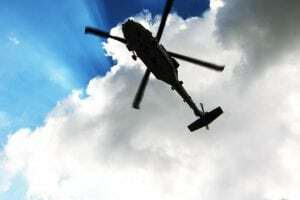 “It would be an error, and indeed a misconception, to oppose a brand like Eurocopter to a group as large and as diversified as EADS,” he concluded. This view, however, is not universally shared within the company, where EADS is often seen as being overly keen to place corporate interests above the strategic interests of its subsidiaries. Although there has been no seminal event to crystallize these fears, many Eurocopter executives are uneasy at seeing EADS marketing and sales departments having an increasing say in how Eurocopter sells its products and services. 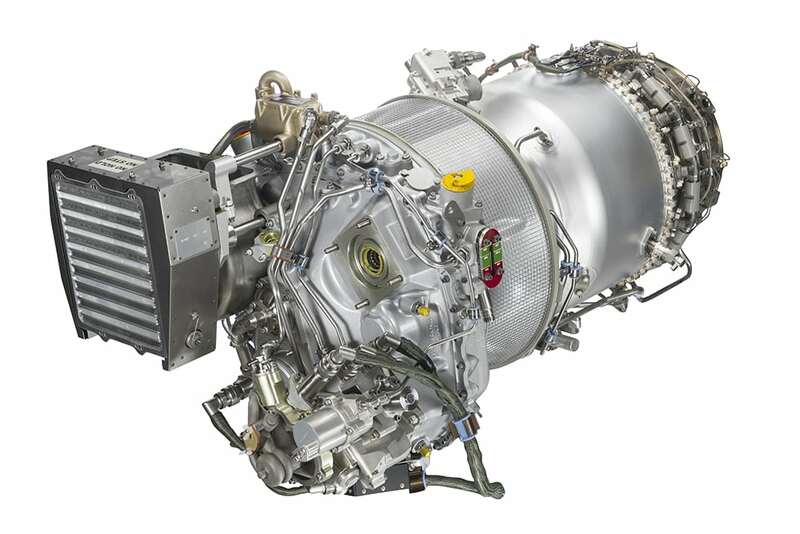 Eurocopter, through AEC, “is a major actor on the U.S. helicopter scene, and we are reinforcing our presence in this market through our investment in Columbus, Mississippi,” where the company is building a new facility, Brï¿½gier said. 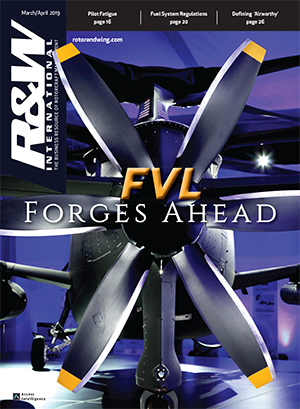 A year on, Brï¿½gier shows a good grasp of the issues confronting both Eurocopter and the helicopter industry. This is all the more remarkable since nothing in his background predestined him to run a company in an industry that has a unique combination of high technology and engineering, and a mix of commercial and government customers. 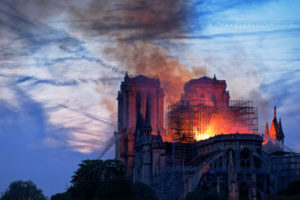 Brï¿½gier, a graduate engineer from one of France’s top schools, managed a French air force cruise missile program, and then ran EADS’ tactical missiles subsidiary, MBDA, before joining Eurocopter. His earlier jobs were in the nuclear power industry and at the French ministry of telecommunications, none of which ever placed the slightest emphasis on the customer satisfaction that he now sees as Eurocopter’s greatest priority. For someone who took over a company that was already the market leader, Brï¿½gier can be pretty offhand about his predecessor, Jean-Franï¿½ois Bigay. “Our management team has now been largely renewed [and] our workers are well-motivated and willing, as long as someone tells them where to go,” he said Jan. 21. He added, “I don’t have friends of 30 years’ standing in European industry,” in an obvious dig at the long-standing enmity between Bigay and Amedo Caporaletti, CEO of AgustaWestland. Brï¿½gier added that festering issues with AgustaWestland can be resolved by keeping things on a straightforward, businesslike footing, with the clear implication that this was not the case before he took over. On the other hand, some in the company doubt that Brï¿½gier is committed to Eurocopter for the long term, and fear that he sees the company as a stepping stone to greater things. Because of this, they fear that he may be too keen to prove his management credentials, whatever the cost to Eurocopter, and so there is some inertia within the company. So, in addition to running the company, improving customer satisfaction, selecting long-term R&D goals, and ensuring smooth relations between the French and German sides of the house, Brï¿½gier also faces a management high-wire challenge. To win employee loyalty that alone can guarantee successful implementation of his policies, he must prove his long-term commitment to Eurocopter while fending off encroachment and interference by EADS corporate management. That may be more than he expected when he took the job, but to a large extent that is what he will ultimately be judged on.